Fab service by Raquel on reception. Hotel very well located, good room, comfortable and clean. Lovely bathroom. The location is PERFECT. No better place, period. Parking is a bit of an issue and you can reserve parking there, but we parked a 10 minute walk away in a ramp. The rooms are very small (Eurostyle) so if you're used to stretching out, this is not your hotel, but it is clean and quiet and close to the action. I highly recommend it. Where to find Ghent hotels near an airport? 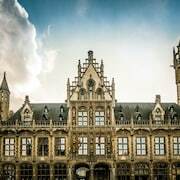 How can I find hotels in different Ghent neighborhoods? Where can I find hotels in Ghent that are near tourist attractions? Ghent offers travelers a generous range of great lodging options to choose from. Expedia's comprehensive database offers 49 long- and short-stay options within a 0.1-kilometre (0.06-mile) radius of Ghent's heart. Booking accommodation close to the bright lights of inner-city Ghent has never been easier. 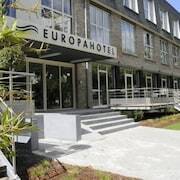 Expedia's booking page lists the Hotel Verhaegen and Hotel Harmony, which you'll find within 1 kilometre (0.6 miles) of Ghent's center. 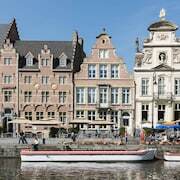 If you have a limited budget and are simply after cheaper deals on Ghent hotels, there are affordable lodgings on offer in the area. The Europahotel Gent is 2 kilometres (1 mile) from the center of Ghent, while the Holiday Inn Express Gent is 4 kilometres (2 miles) away. 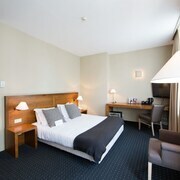 Alternative lower-cost room options are the Place2stay in Ghent and the Parkhotel. You could also check out the Charme Hotel Hancelot or the Sandton Grand Hotel Reylof. 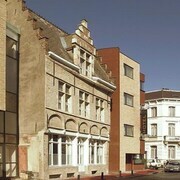 The Charme Hotel Hancelot is positioned 1 kilometre (1 mile) away from downtown Ghent. The Sandton Grand Hotel Reylof, is located 0.6 kilometres (0.4 miles) away. 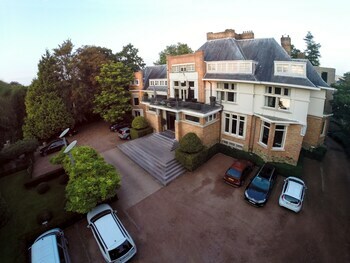 Two more places to stay are the Het Godshuis and the Relais du Silence Hostellerie Ter Heide. Drongen is 4 kilometres (3 miles) to the west of Ghent and is where you'll find Cycling Along Brooks and Meanders Trail and De Assels. The Holiday Inn Gent Expo and NH Gent Sint Pieters are just some of the Expedia-recommended accommodation options in Drongen. 2 kilometres (1 mile) to the northeast of Ghent, is Sint-Amandsberg, home to the Ghent Marriott Hotel and Design B&B Logid'enri. If you're staying in Sint-Amandsberg, a couple of places to add to your itinerary are the Campo Santo Cemetery and Illuseum. Why not spend an afternoon rubbing shoulders and cheering along with fellow sports enthusiasts at a local match. You'll find Olympic Stadium 50 kilometres (30 miles) to the east of Ghent. For travelers who are interested in sleeping close by, make a reservation in the Hotel De Witte Lelie or Hotel 't Sandt Antwerpen. Antwerp International Airport is a practical airport, and is 55 kilometres (33 miles) away from Ghent. 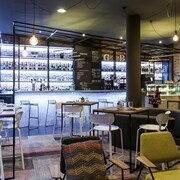 Conveniently located hotel options include Firean Hotel and Hyllit Hotel. 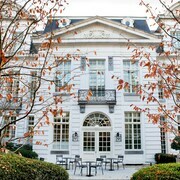 What are the most popular Ghent hotels? Are there hotels in other cities near Ghent? What other types of accommodations are available in Ghent? Explore Ghent with Expedia.ca’s Travel Guides to find the best flights, cars, holiday packages and more!